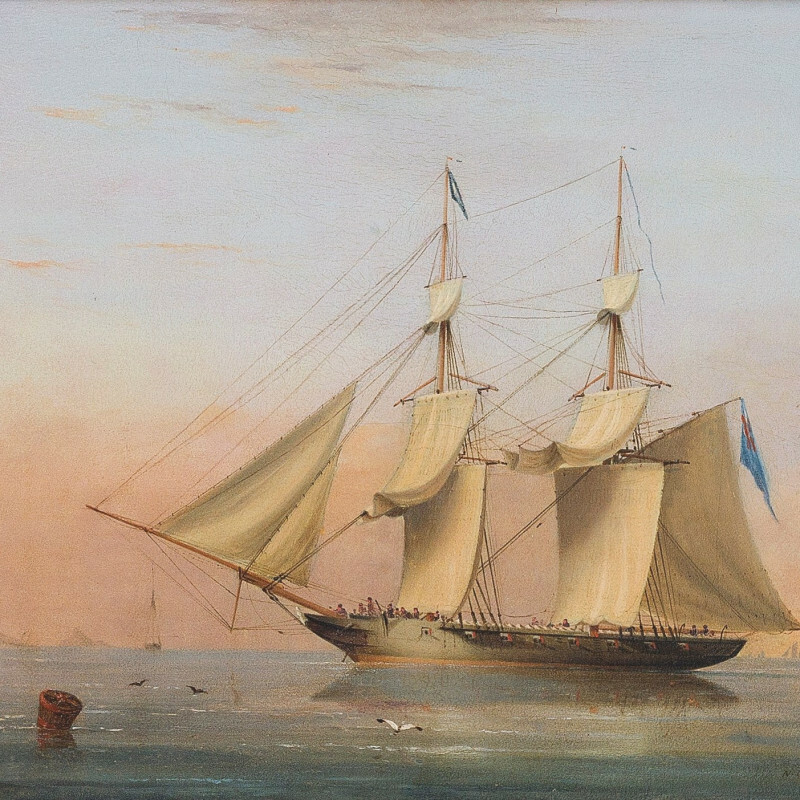 Nicholas Matthew Condy followed in the footsteps of his father, Nicholas Condy (1799–1857), also a marine artist, and was brought up in Plymouth where he developed his interest in ships. He began his career in the Navy but was unsuited to the military and left to take up painting. His work attracted the early attention of the Earl of Egremont, patron of J. M. W. Turner (1775–1851). Condy's detailed rendering of ship structure, specially rigging, was much admired and earned him many commissions to paint ship portraits. He exhibited at the Royal Academy between 1842 and 1845, and some of his paintings hang in the National Maritime Museum in Greenwich.